Together with many business owners on Main Street I organised a petition which read ‘ The facility for patrons to be able to park vehicles when visiting shops, restaurants, library, health services and other businesses in Dickens Heath is vital to the social and economic well being of the Village. I am happy to report the ‘low key’ petition saw 628 people put their name to the petition, with as many as 171 having non-B90 post codes. This is evidence that over a quarter of visitors to the services on Main Street come from outside of Dickens Heath. In fact the figure must be far higher because I have a B90 post code and reside about 2 miles from the village. 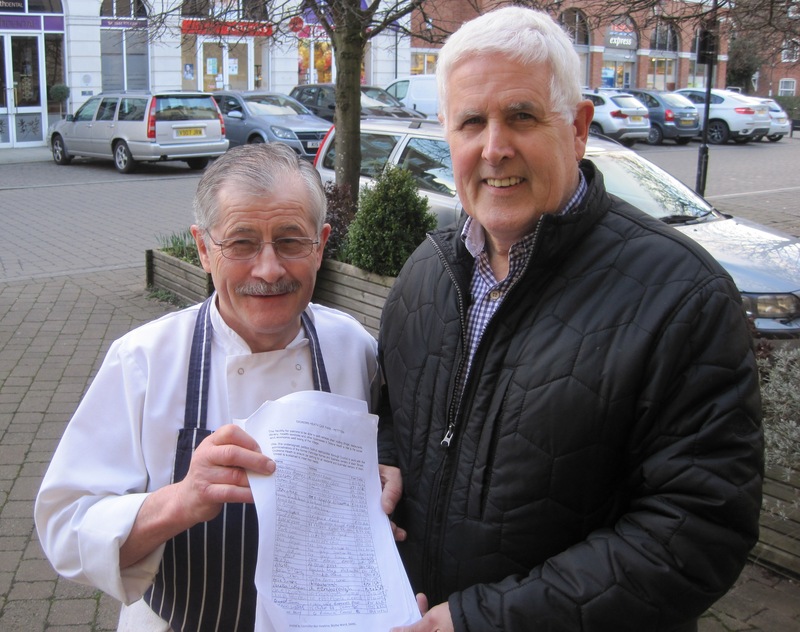 Image shows myself and Giovanni with the petition. Next steps: The petition is nicely timed to be with the council just before any prospective developers of the Garden Square sites are identified and look to submit planning applications. Myself and Cllr Richard Holt will work with the Parish Council and businesses on Main Street to ensure the car parking spaces lost will be replaced in and around the Main Street area. A friend of mine was fined £40 for parking on double yellow lines . The time was 9pm We had been to Geovanni’s What the hell is going on?? Double yellow lines means ‘No Parking’ at any time.